Roberts R-Line system hands-on hands on review | What Hi-Fi? 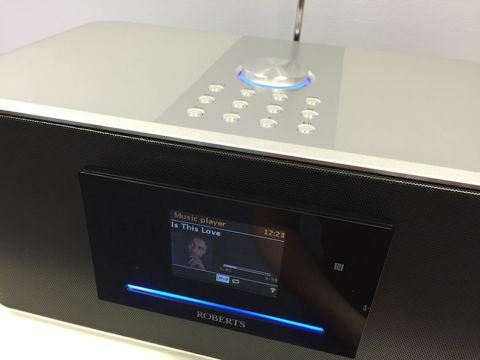 Not content with being one of the most successful and respected radio manufacturers on the planet, Roberts has decided to branch out into the wireless world of multi-room. With one eye still firmly on the radio market, Roberts is looking to take existing customers on a new journey whilst simultaneously tapping into a demographic that might not associate itself with the brand. Roberts is arguably one of those British brands people would consider traditional, trustworthy and reliable - great qualities when you're about to set sail on relatively unchartered waters. We say relatively, because the company has already dabbled in the world of wireless streaming, and actually boasts a pretty good strike rate. Products such as the Revival iStream 2 and Award-winning Stream 93i have already received rave five-star reviews - hopefully this is a sign of what's to come from R-Line. When it comes to multi-room, nailing the user experience is half the battle. Instead of investing a huge amount of expense in its own proprietary app, Roberts has opted to run with one that's already on the market. It's called Undok and is available for Android and iOS devices. A number of other wireless speaker manufacturers use the same app and streaming engine so they'll be fully compatible with the Roberts range too. For set-up, all the R-Line speakers start by creating their own wireless network, which Undok then searches for. Connect to the network and you're guided through a short process where you can customise the speaker name before connecting it to your home network. The Undok app then takes you on a tour of the functionality at its disposal, including Spotify Connect, internet radio and a brief tutorial on how to access music stored on your phone or tablet. The R1 and R100 appear the most traditional out of the new range, but both have a modern twist. The matt white finish and tan leather carry handle makes for a nice contrast. Although you can use the Undok app, Roberts has been careful to include control buttons on the entire R-Line range to appeal to a wide range of customers. Because the R100 has a small display, it gets extra buttons for navigating on-screen menus. Both speakers seemed to react quickly, and during a brief blast of music the sound seemed perfectly listenable. The back of the speakers host all the connections, including ethernet and USB. Flicking the relevant switch turns two speakers into a stereo pair. Portability comes courtesy of a £40 battery pack in the same matt white finish - it screws into the bottom of each speaker adding a little in terms of height but not bulk. S-Series looks more like your standard Sonos rival, with the bookshelf-friendly S1 and the larger, more powerful S2. Again, you can control them either via the app or the buttons on top of each speaker. There is no display on the S2, but it doesn't suffer for it. The S300, though, is quite a hefty unit. It's also an interesting design - the floating display, complete with slot-loading CD mechanism, gives the sytem a unique look and added functionality - it certainly stands out from the multi-room crowd. There's only so much information you can show on a small display like the S300's, but it still needs to be visible and legible - even if you tend to use your tablet or smartphone as the main controller. In the bright surroundings of Roberts' demo room it did a decent job, and the viewing angle was okay. Streaming a couple of songs over Spotify, the S300 seemed to cope well when pushed, although Roberts was quick to point out there is still some DSP and EQ tuning to be done before R-Line goes on sale. Finally, we come to one of the most intriguing elements of R-Line, the SB1 soundbar. Like the S300, Roberts' sound bar is quite a chunky unit. The company has veered away from the trend for super-slim, in favour of a relatively tall and deep unit. There is an IR blaster on the back of the soundbar, but you'll still have to consider whether or not your TV picture could be obscured. The central 3.5in display certainly catches the eye - a screen isn't something you tend to find on a soundbar, never mind the assortment of controls which surrounds it. The buttons and the Roberts logo are all backlit, but they do fade so they shouldn't distract in a darkened room. Using the buttons to control the soundbar didn't seem quite as intuitive as using the Undok app, but the option is there if required. Listening to a couple of tracks, the soundbar didn't sound weedy or overly harsh, although obviously we'll reserve final judgement for the review sample.